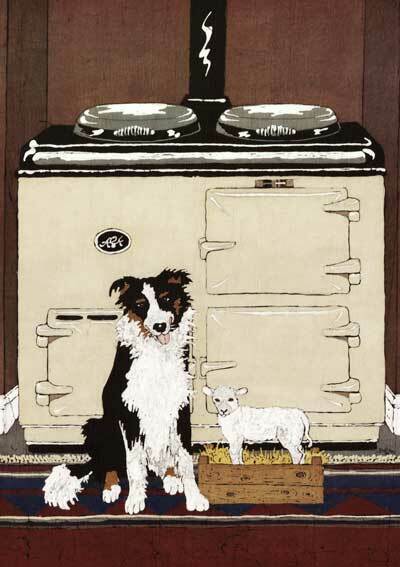 This was one of a series of designs made for Aga Rayburn which featured on greetings cards, prints paperweights and bookmarks and were sold in the many Aga shops throughout the country. 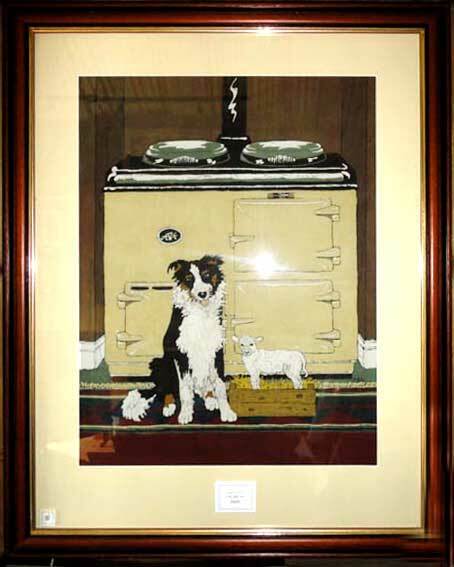 'Aga Collie' has become one of my best selling cards but the original was never seen, was not even framed, until I moved to Shropshire and opened my lovely gallery. It hangs proudly there, back-lit. This was one of a series of other 'Aga' titles, Aga Puppies, Aga Cat and Aga Christmas.